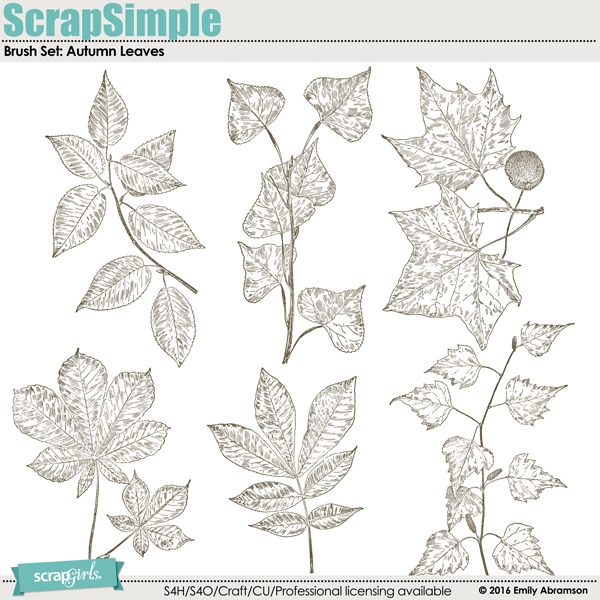 Brush Set: Autumn Leaves Digital Scrapbooking Kit by Emily Abramson, for ScrapGirls.com. 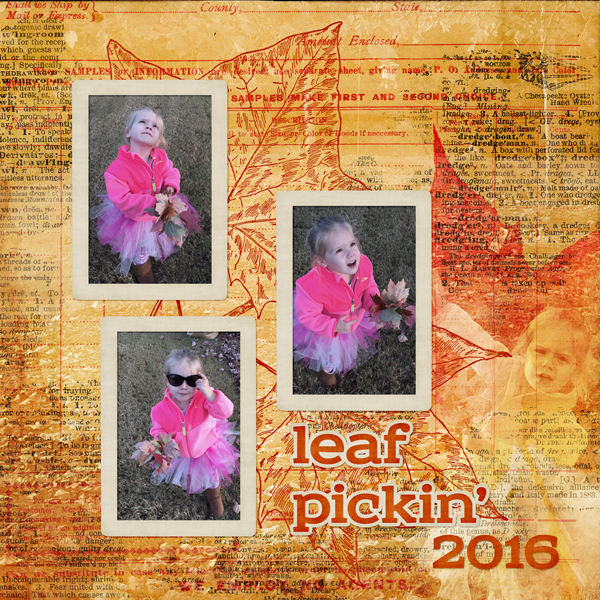 The Autumn Leaves Brush set is a collection of 6 Photoshop brushes created from vintage leaf illustrations, in ABR & PNG formats. Perfect for accenting your digital scrapbooking layouts, clusters, card making and crafts. This set comes in ABR & PNG formats. Black PNG files are 300 dpi with a touch of transparency. The Vintage Florals Biggie Brush set is a collection of 9 Photoshop floral brushes created from antique floral engravings, in ABR & PNG formats. Perfect for accenting your digital scrapbooking layouts, clusters, card making and crafts.